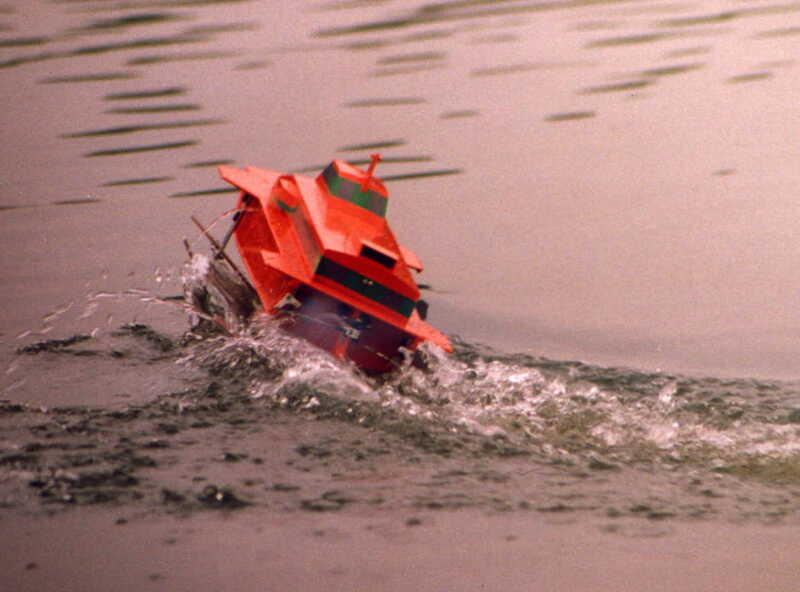 This the design and build of this model was featured in Marine Modelling Monthly magazine, December 1992 issue, by Traplet Publications UK, pages 36 - 41 (see below). 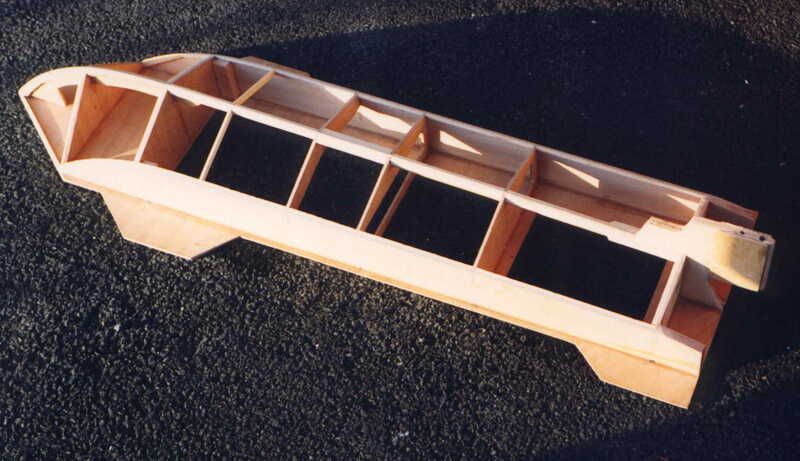 Plans for this model are still available from Traplet Publications. 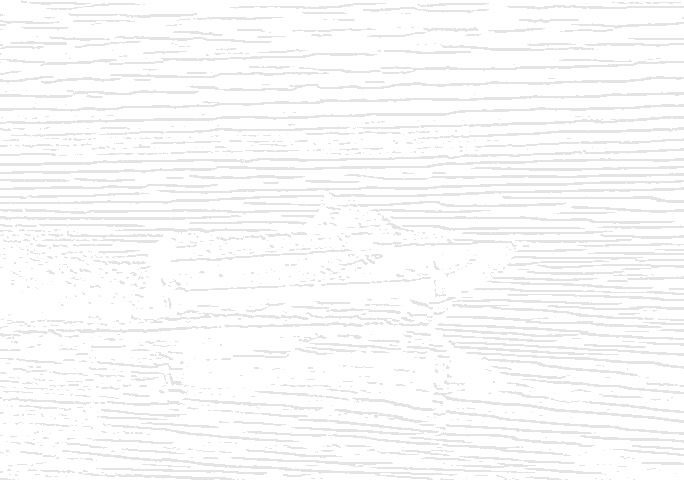 Unfortunately since publication the 'half-round' aluminium strip (sold in hardware shops for edging worktops and the like) used for the foils may now be difficult to find. Modellers may try metal strip, such as a 3 foot/1 metre ruler. 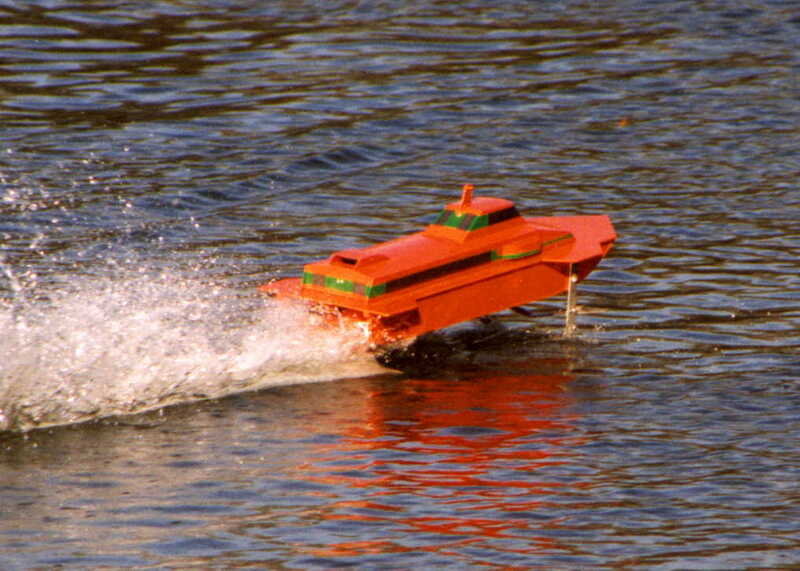 The model is 37 inches long and was first powered by a .19cu glow plug engine, then later powered by .40cu engine. All up weight weight is 7 lbs. 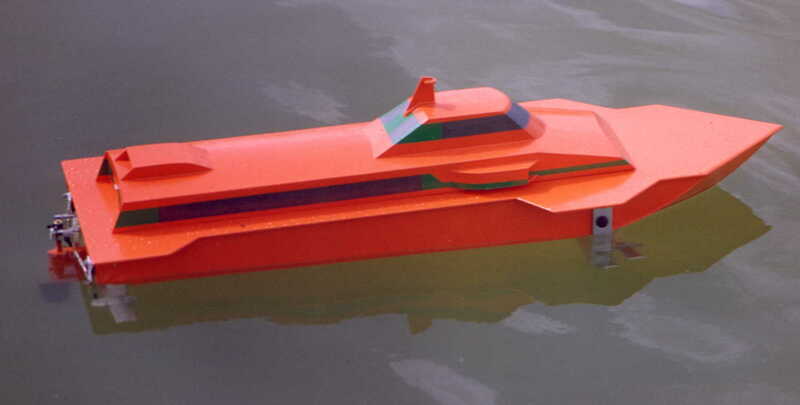 The model was designed as a 'plans-feature' model for the Marine Modelling Monthly and be relatively simple to build - especially for a mode hydrofoil. 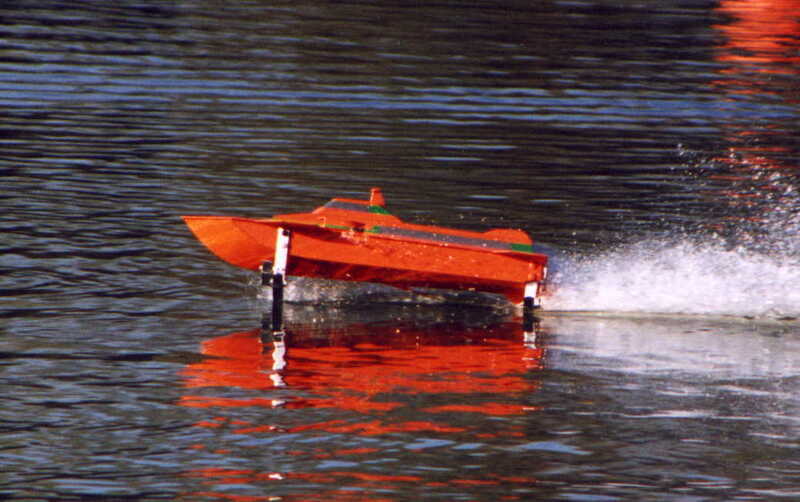 In addition, the model features incidence controlled rear foils that are coupled to the rudder and enable it it perform quite tight banked turns while foilborne, which is something that the MK1 could not do. Rapier was entered in an official speed record event but played up on the day, to turn in an official speed record of just 17 miles per hour. Which just goes to prove how the performance of any glow-plug powered model is inversely proportional to the number of people watching it. 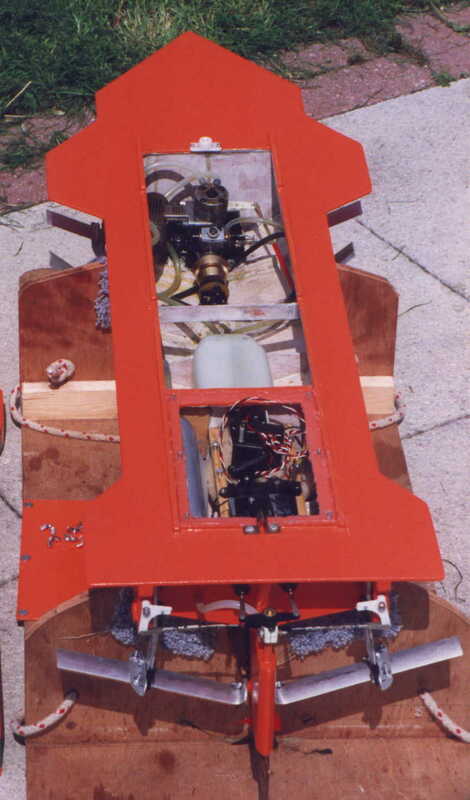 View of the technical stuff showing the rear foil incidence control that is linked to the rudder to achieve tight banked turns. Note all the foils are detachable and fixed using 'breakaway' nylon bolts to protect the hull in case of crash - yes this works!